Each year 500 young cancer survivors and their families attend a day celebrating their lives together with their families and bond with other kids whose life has been affected by cancer. 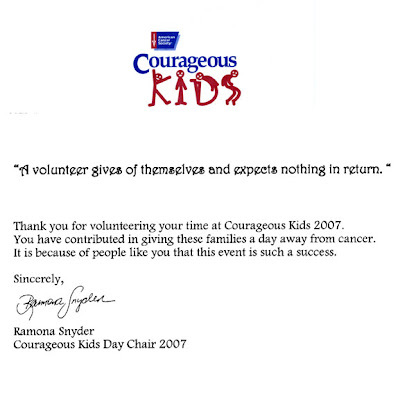 The Cancer Society together with Great America and several volunteers and donors helps create a day with several fun activities. 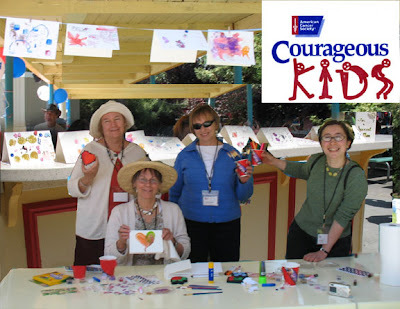 This year, four art therapists: Sara Kahn, Barbara Kugler, Isabel Lenssen and Linda Powers volunteered to help these courageous kids create postcards for their Mothers. 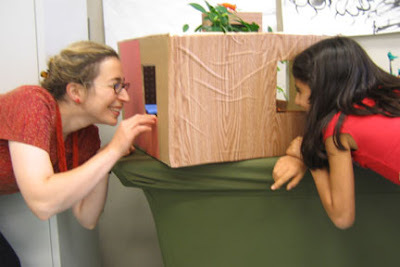 Sara’s Presentation for On My Block, September 2007, at Asian Art Museum, San Francisco. 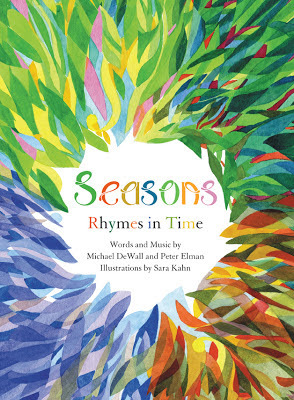 Fifteen illustrators each depicted a place special to them from childhood. 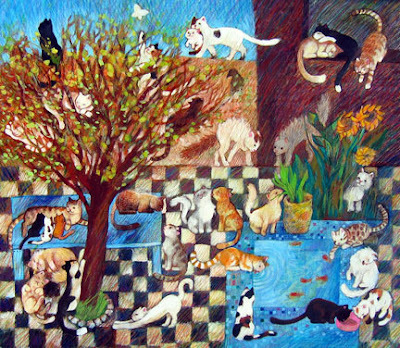 Sara chose to illustrate her grandma’s garden—with its 32 stray cats in residence. Three of the fifteen artists from the book:"On My Block" had a presentation at the San Francisco Asian Art Museum.The artists were: Felicia Hoshino, Conan Low and Sara Kahn. 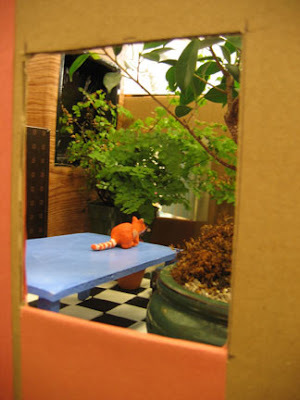 Each of the three artists built a diorama of their illustrations. 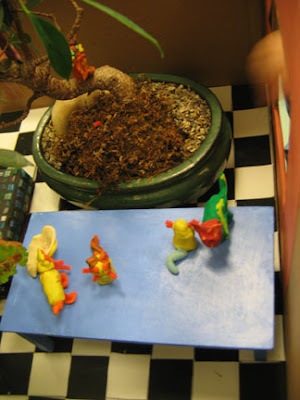 Sara's diorama presented her grandmother's garden (as illustrated in On My Block) without the cats,sara invited the audience to make cats from clay and add them to the garden.